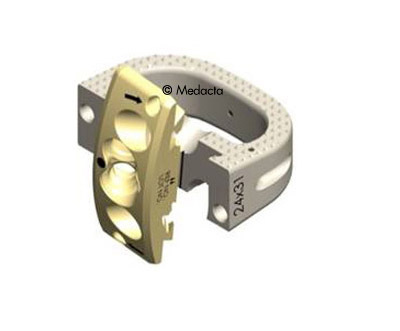 No anterior profile construct for minimal impact. 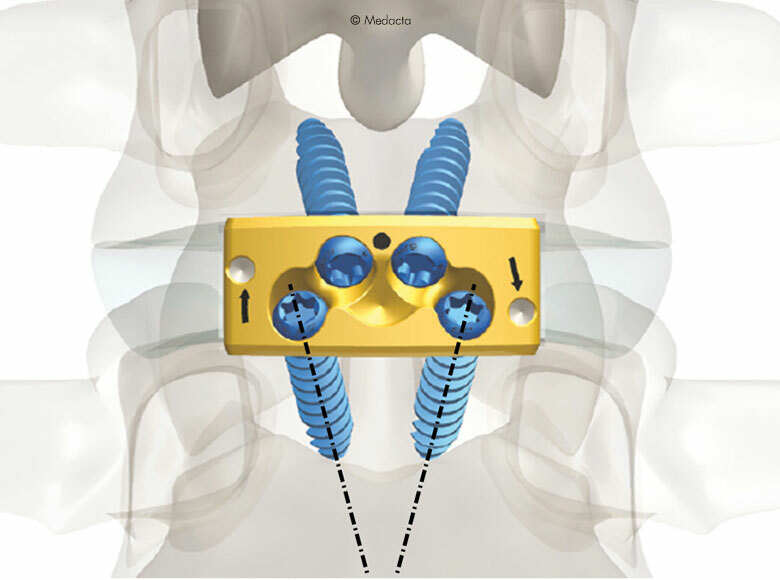 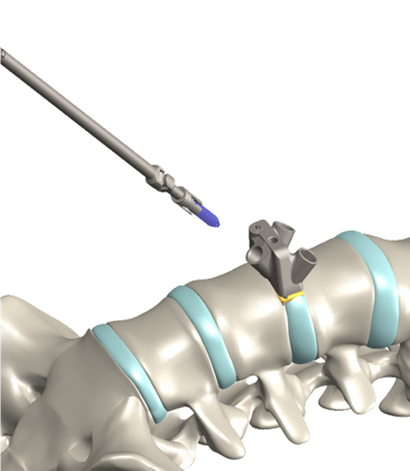 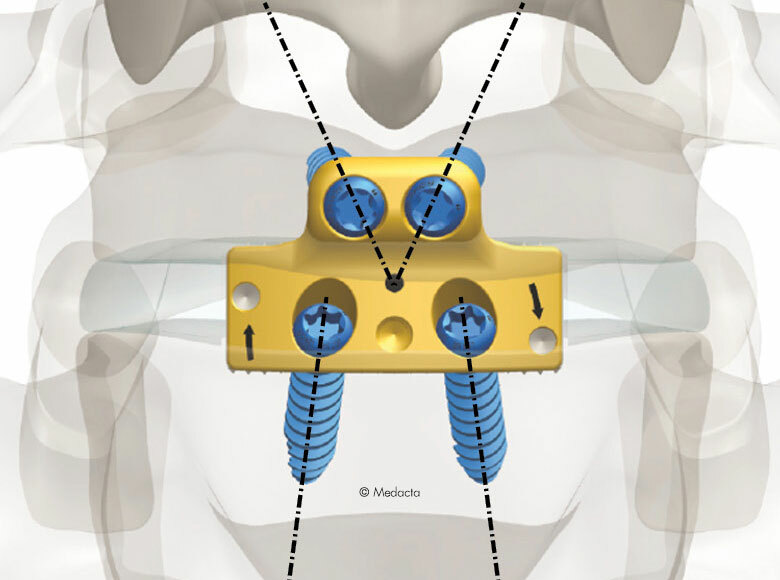 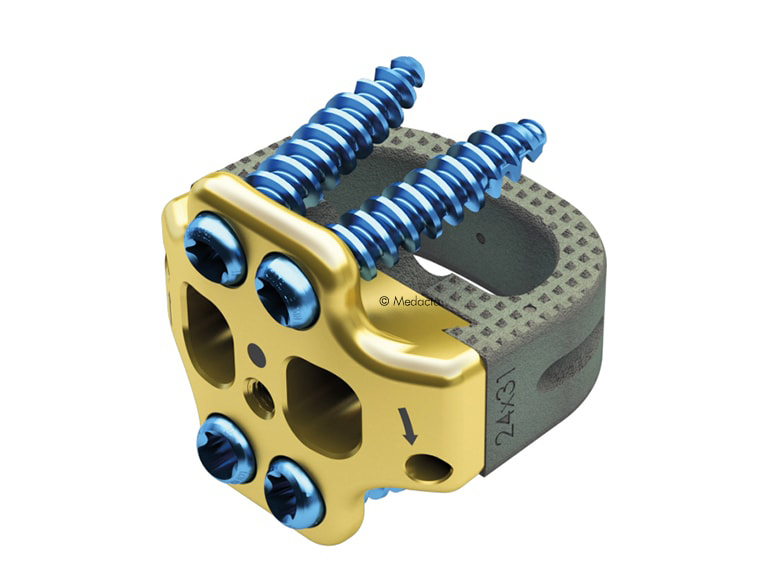 Greater cranial stability with a caudal flush profile provide a solution for L5-S1 implantation. 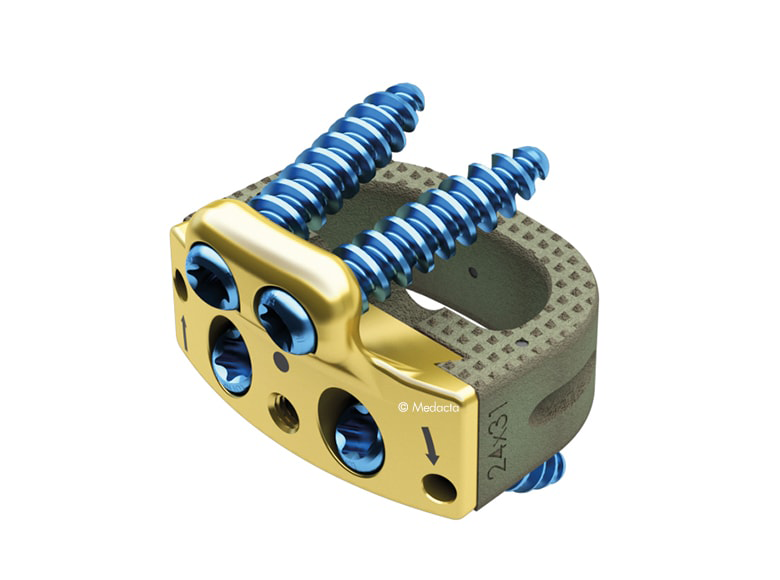 Greater stability in extension and torsion with a 4 hole design. 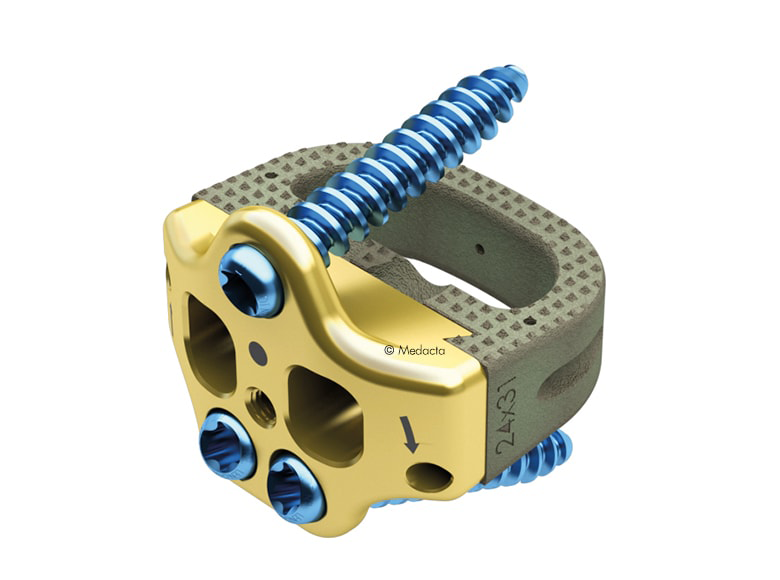 Greater stability in extension and torsion. 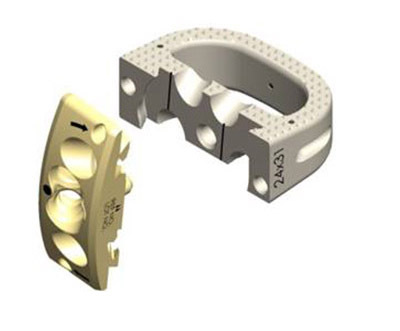 3 holes design provides flexibility with respect to the illiac artery bifurcation. 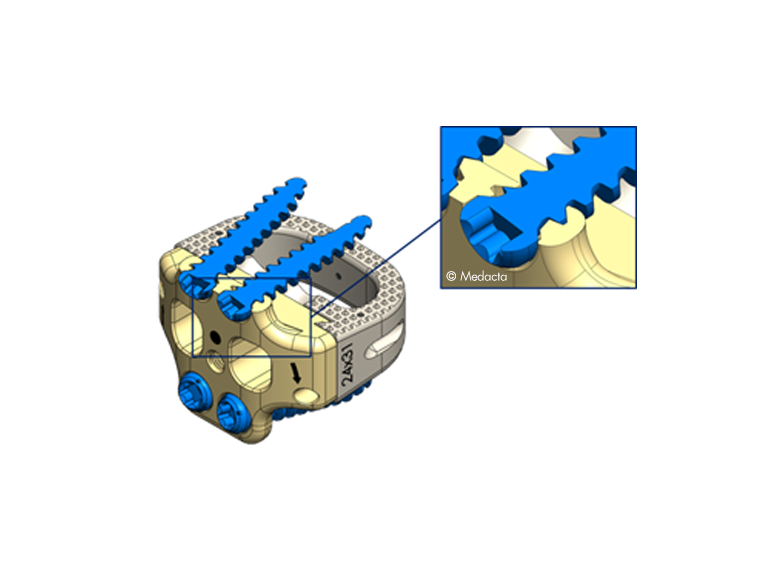 The exclusive divergent screw angulation helps to provide stability and increased pull-out strength. 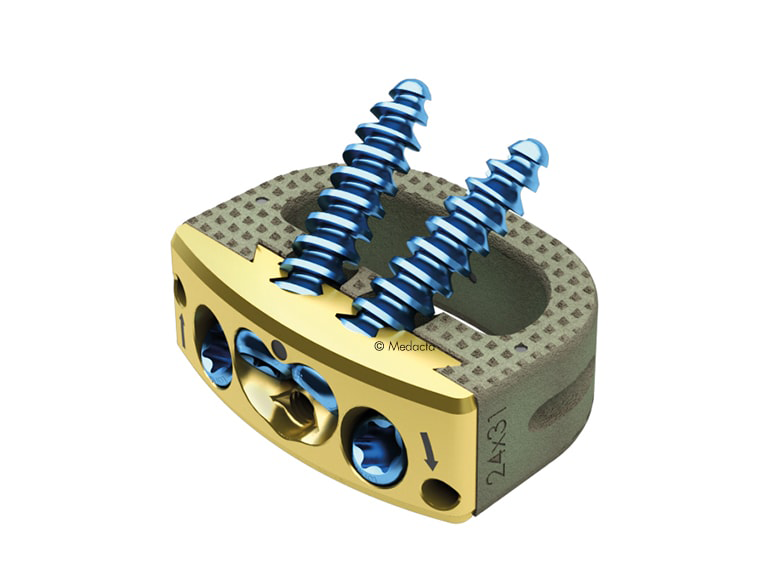 The combination with converging screw angles helps to provide additional stability and screw backout resistance. 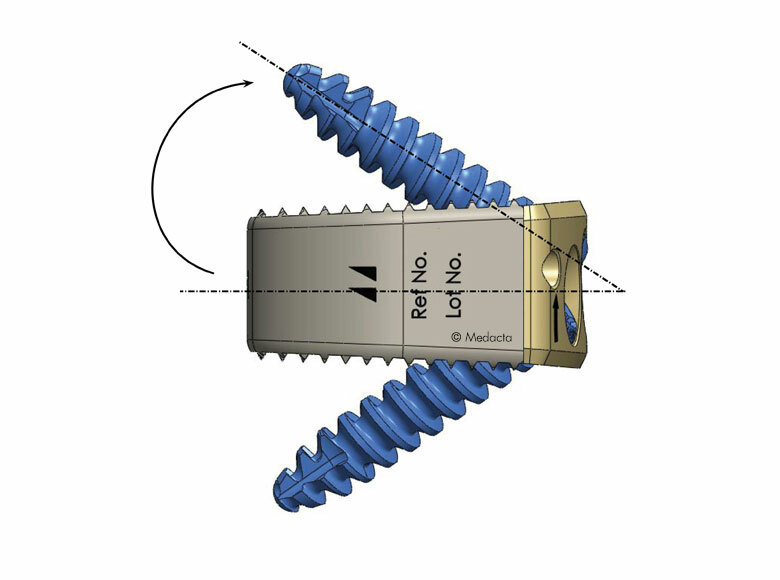 The horizontal screw angulation helps to minimize the bending moments and to prevent the screw derotation and possible screw back out. 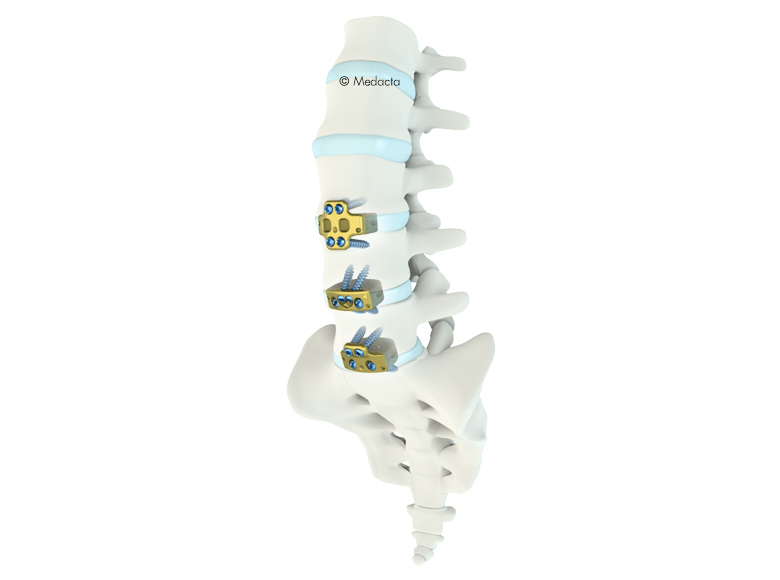 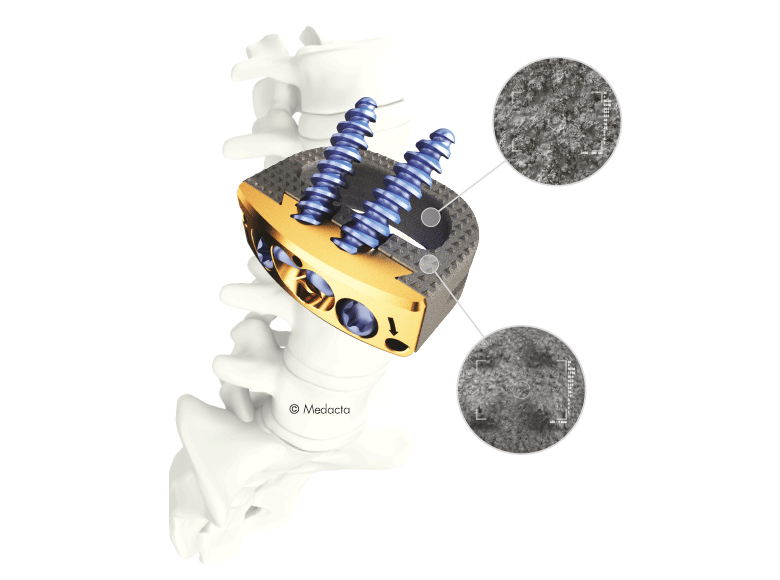 Horizontal angled screws transfer the load on the plates to the cortical bone avoiding stress to the cancellous bone and strip into the bone. 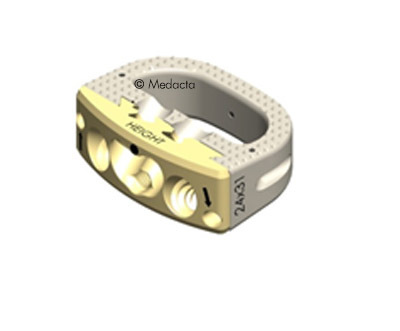 MectaLIF Anterior cages are offered with numerous implant heights and footprints ensuring anterior / posterior support and providing patients with the best anatomical fit. 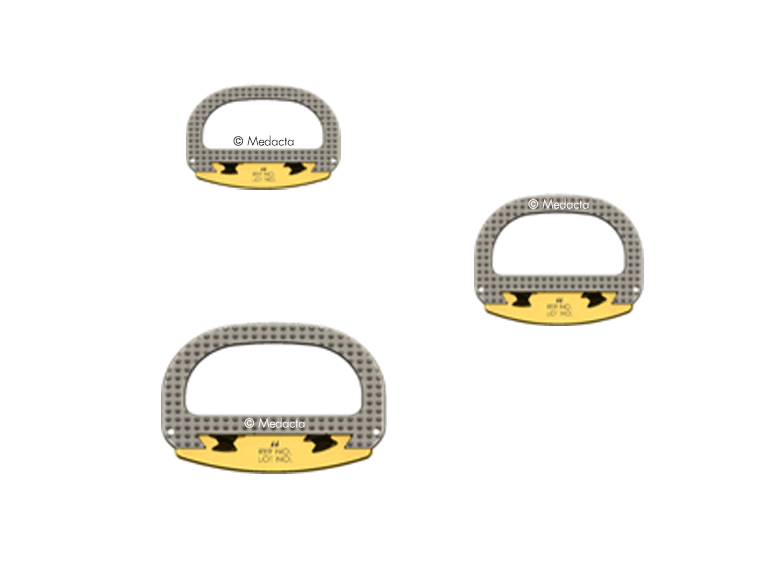 Plates are threaded to match and guide the screw insertion and to possibily avoid any cross threading. 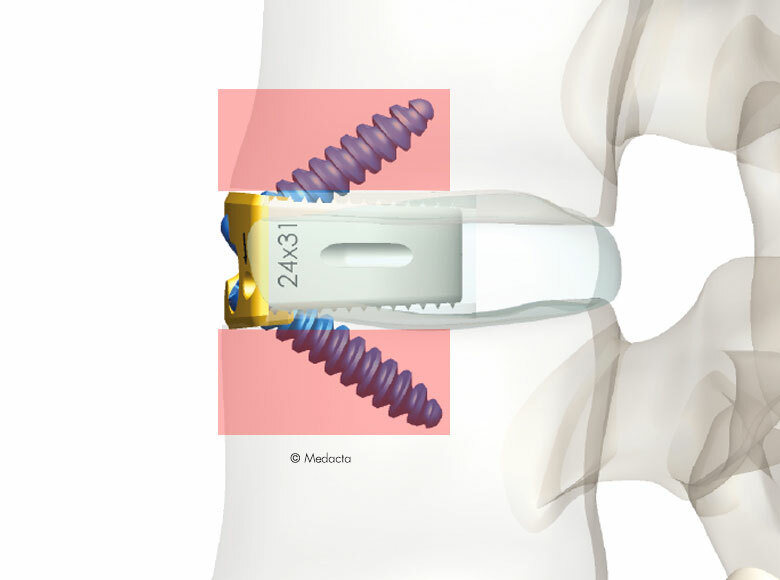 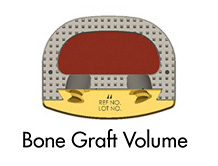 Large central bone graft area may help the occurrence of fusion through the implant.